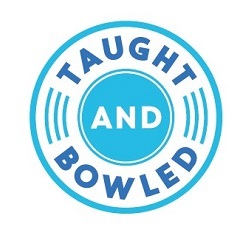 Taught and Bowled is offering two cricket programs during the upcoming school holidays. Taught and Bowled will be running two cricket camps during the Christmas school holidays. The camps run over three days and will be held at Parkinson Oval, Kensington Gardens Reserve. They are a great chance to improve your skills, to have fun and to get your cricket fix during the school holidays. The camps are open to cricketers 8-13 years of age and are ideal for a young cricketer who is playing school or club cricket. All aspects of cricket will be covered including fitness, field setting, captaincy, cricket knowledge, batting skills, bowling skills, fielding skills, wicket keeping skills and video analysis. The third day of each camp is our 'Match Day' where players will get to play games of cricket against each other. Taught and Bowled will be offering individual cricket coaching sessions during the Christmas school holidays. Coaching is available to cricketers 8-15 years of age. Players can choose to focus on batting, pace bowling, spin bowling, wicket keeping, or a combination. The coaching is delivered in four-day blocks with players receiving 3 x individual coaching sessions followed by 1 x match session where they can put what they have learnt into practice. Session times are available between 8:30am and 11:30am each day. The sessions on Monday, Tuesday and Wednesday will be individual coaching sessions. The Thursday of each week will be our 'Match Day'.